Outdoor kitchens are one of the biggest trends in home design because everyone wants to take the party outside. 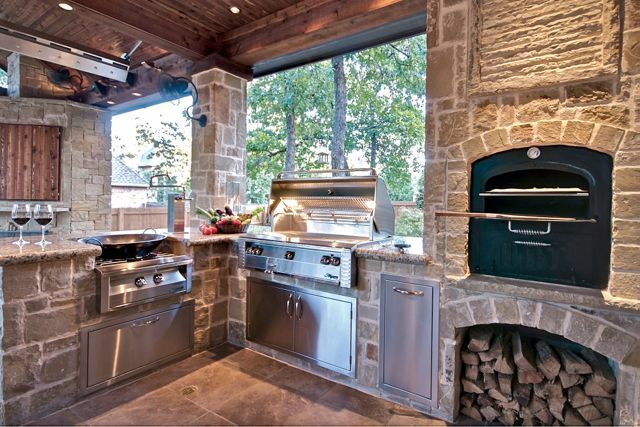 If you are installing or remodeling an outdoor kitchen, we have some of the hottest trends for you to consider. No two outdoor kitchens are the same because every outdoor space is different. 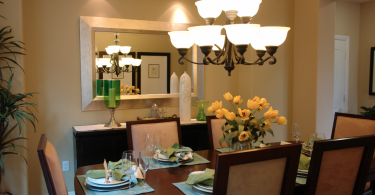 You can choose custom colors and styles that mimic your indoor kitchen and bring your flare to your outdoor space. With every outdoor space comes an exposure to the elements. In the past, the only materials that could stand up to the weather were cement and porcelain. But now you can get weather-resistant cabinetry and even granite countertops outside. You don’t have to trade style for durability. The benefit of the outdoor kitchen is that you can cook with a lot of heat. These are great places to add an outdoor pizza oven or a ceramic grill. These both use a tremendous amount of heat to deliver a special kind of flavor. Leave the full-size refrigeration inside. The outdoor kitchen is perfect for refrigeration or freezer drawers that go under the counters. You could also install a wine cooler, a two-tap keg or an ice machine that delivers chewable ice. Once you have the right food, the only missing piece of the party is the entertainment. Outdoor kitchens can be great places to install a weather-resistant television to watch the big game or for family movie night. When you are ready to create your dream outdoor kitchen, come into Friedman’s, and we will show you the best options for your space. From ceramic grills to under-the-counter refrigeration, we have exactly what you need.